We are Kentico Experts! We Build Powerful, Feature-rich, Custom Kentico Websites and Mobile/Web Apps Cost-effectively. Technousa is one of the top offshore Kentico development companies in the world. We serve clients across the globe with a major focus on USA, UK/Europe and Australia. Dot Net is one of our core areas of expertise, thus we have nurtured a highly experienced and skilled team of Dot Net (.Net) developers who are specialized in Kentico CMS development (Fyi - Kentico is a Dot-net based CMS) – we have exhaustively worked on Kentico development projects and have a proven track record of delivering them successfully. Being one of the few top offshore Kentico development companies in India, we are able to provide cost-effective Kentico development services to our clients in US, Europe and Australia – they are able to save a lot of cost without any concerns about the quality of work. 100+ loyal clients across 31 countries are testament to the quality of work we do. Let us discuss your business requirements – based on your requirements, our Kentico consultants will give you the right solutions, recommendations and add-on ideas with an objective to maximize benefits and minimize costs. Our team has diverse technical capabilities and experience in Kentico development, thus we are capable of providing custom solutions (of any level of complexity) that meet your exact requirements. Our team's diverse experience includes developing simple to highly customized enterprise level website, providing ecommerce and CMS solutions to mobile app development, building complex enterprise grade web applications to developing social networks, Intranet/Extranet development to providing end to end Kentico migration, Integration or custom module development services. 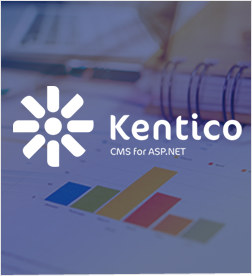 Kentico is one of the most preferred .Net based Content management systems. It is a highly flexible platform with a great, easy-to-use interface. 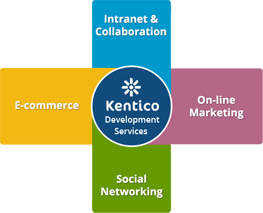 A wide range of web applications can be developed and run on Kentico including corporate websites, social networks and other community websites, intranet-extranet, ecommerce/online stores, CRM and more. Yes, mobile applications can be developed on Kentico. Supports Intranet and Collaboration with multiple sites. Tracking system to track changes done to the site. Product management and in-built ecommerce solution. Supports Multi-site management and facilitates rapid launch and more. CMS content analysis and Migration and more. Technousa – Trusted IT partner to 100+ clients across 31 countries. Hiring us will be one of your best decisions ever. Okay, now let us know your project requirement, let's get started!